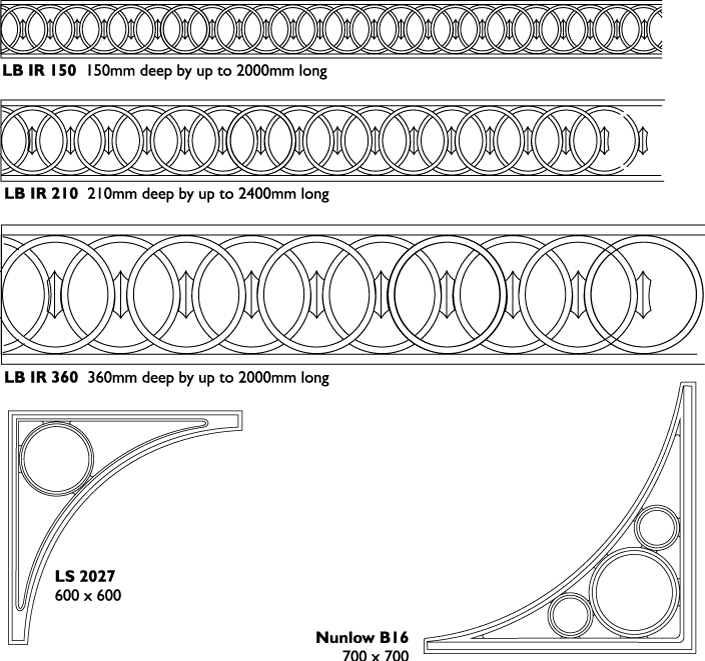 Our “Architectural Castings” pdf covers not only friezes and balustrades but columns, finials, beams and spandrels. Replacing steel sections with cast cross beams transforms the appearance of a canopy or arcade. 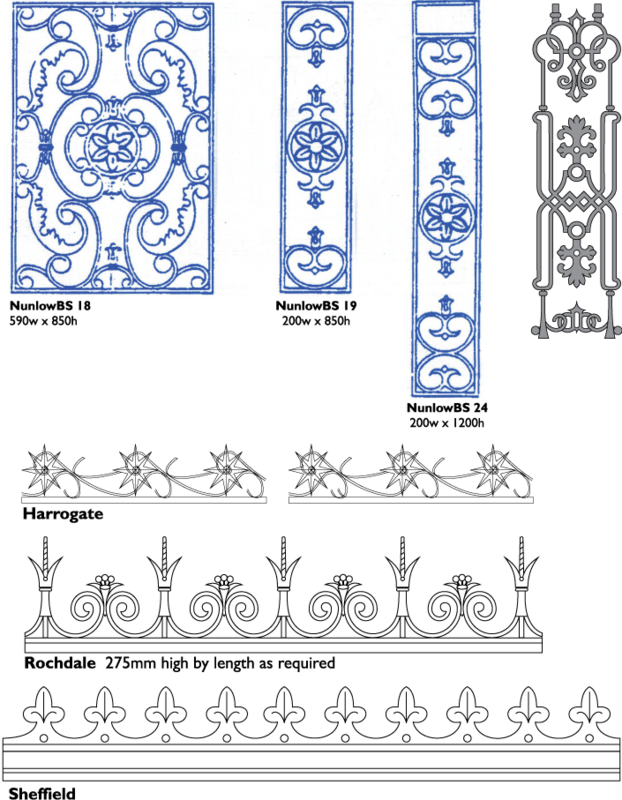 Decorative friezes can be added above or below the beams or even along gutter tops. Light in weight and made from a high-silicon cast aluminium alloy, all our castings have good structural strength and corrosion resistance.